Seed sowing is a great place for recycling-in-the-garden newbies to start. Many repurposed containers can be used immediately, while others require just a few tweaks before they are ready for sowing into. You can also get creative by painting or accessorising chosen containers to look fabulous and funky – bespoke containers as extrovert as you care to make them! Old yoghurt pots are the ideal size for sowing small clusters of seeds or larger seeds individually. Before using them you will need to punch some drainage holes into the bottom. I use a sharpened kebab skewer for this purpose, pinning the pot down and needling the holes through the bottom as I twist. You could also use a power drill, holding the pot onto a supporting stump or wood block as you drill. 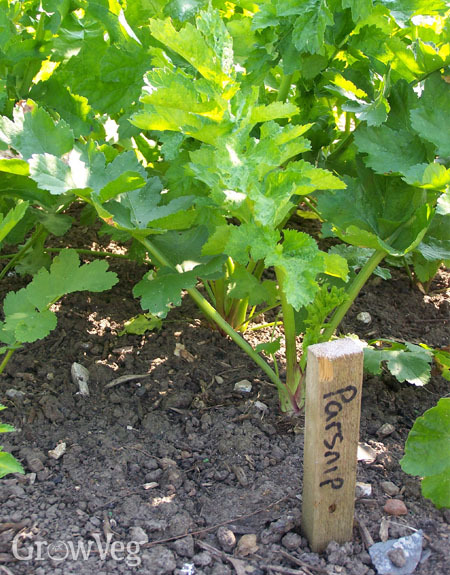 Seeds sown directly into the ground can be labelled using lengths of wooden batten, cut into foot-long sections then pushed into the ground. If you have the time, inch-wide prunings shaved to expose a flat, writable surface, make for an incredibly attractive semi-permanent solution. Another handy tip to help your seedlings along is to use reflectors to bounce back light. This is particularly useful for windowsill seedlings, which inevitably lean towards the light, necessitating regular turning of the seed tray to balance out the growth. Make a reflector by wrapping a suitable vertical surface with aluminium foil, shiny side facing outwards. Place this opposite the window to reflect back some of the light and reduce the leaning effect. You could even line an open-sided cardboard box this way to create a self-contained natural light chamber.